Whether you are a fascinator of the magic of Japanese cuisine or simply a novice on a visit to one of the country’s restaurants, you have certainly heard of the term sashimi and maki, right? Well, we are here to provide you with a clear idea about sashimi vs maki so that you can be exactly aware of what is being laid on your table. Unfortunately, many have the false notion that the two dishes have striking similarities, but reality offers a completely different story. Before we set the facts straight on the difference between sashimi and maki, let us first get into what they really are. 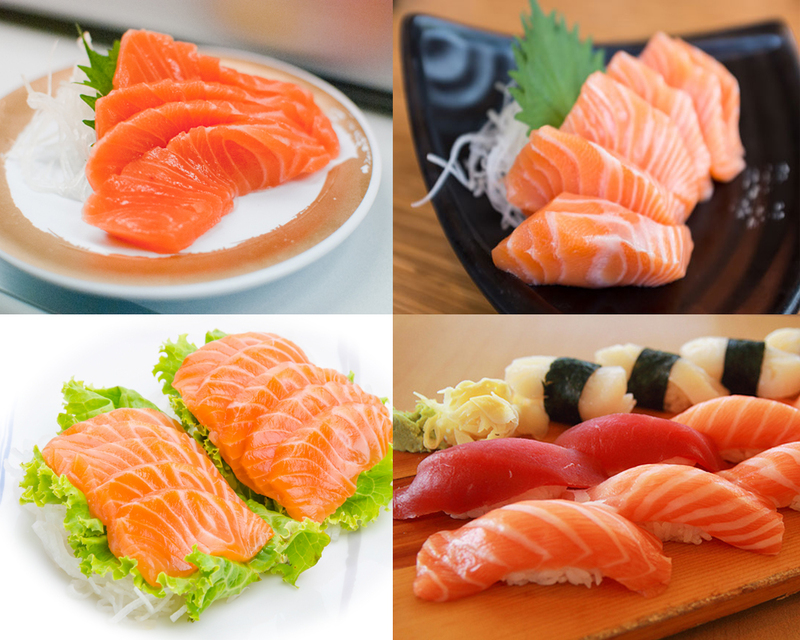 Basically, sashimi is an assortment of raw fish that does not include rice. Thin slices are made of the raw seafood, thereby serving it with shredded daikon (white radish). The dish may also be accompanied by pickled ginger along with a shiso leaf. Unlike maki, which has a variety of preparations, sashimi is best served and tasted in its traditional way. Take a look : Sushi vs Sashimi. However, a few restaurants of the country may experiment with a variety of alternate meat options. Maki, on the other hand, is actually sushi that can be wrapped or rolled in nori. The rolls are then generally cut into six or eight pieces, ready to be relished with your fingers or chopsticks. Now that you are aware of the ingredients that go into the making of both the dishes, let’s find out the nutritional differences so that you can place your order with ease. 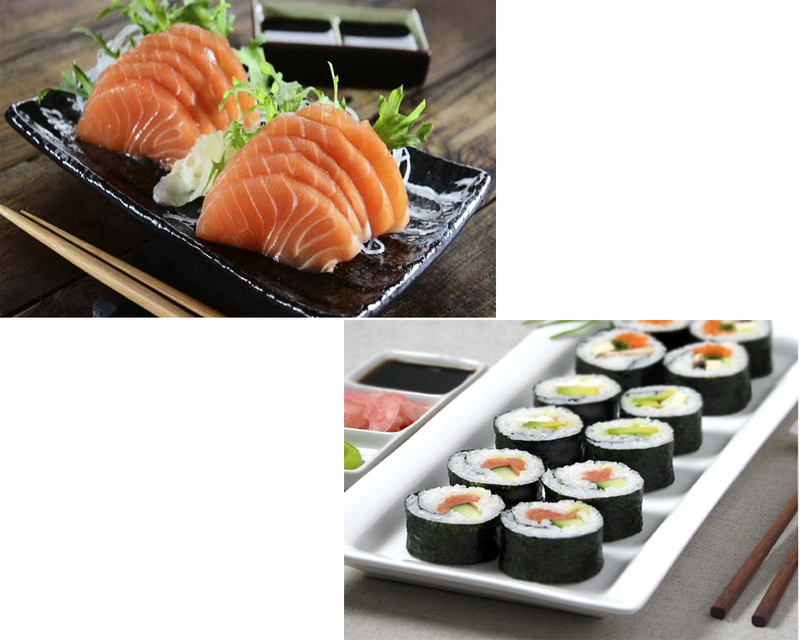 There are also a few nutritional differences between sashimi and maki. A well-analyzed comparison of the two also points towards noticeable nutritional differences. 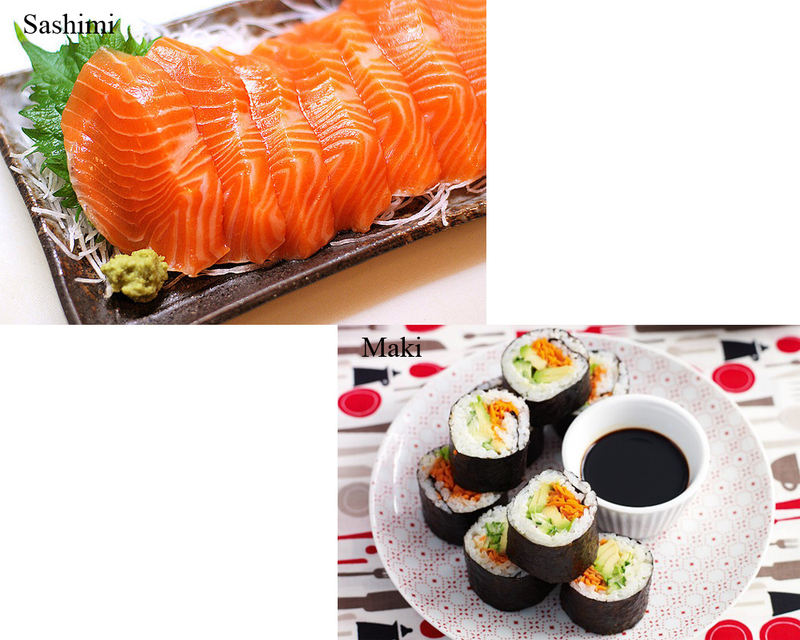 As rice is the main component of maki, the calorie content will definitely be higher than sashimi. Depending on your choice of seafood or fish, sashimi usually boasts off fewer calories. But for the first time eaters, if you are a little put off by the smell or taste of raw fish, you can always devour on a sushi roll with vegetable fillings of your choice. And there you have it, sashimi appears to win the sashimi vs maki contest.